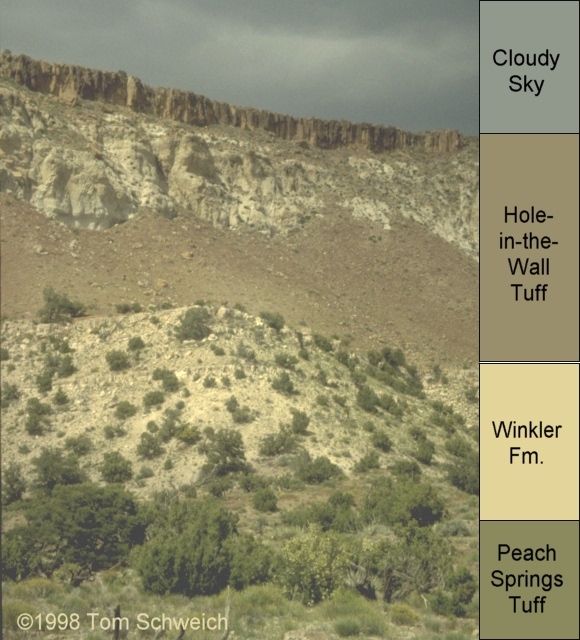 Photo: Winkler Formation at Pinto Mountain. Eastern Mojave Vegetation Winkler Formation at Pinto Mountain. Cedar Canyon Road - Mojave National Preserve: 30000. Eastern Mojave Geology -- A Botanist's View: 460000. Other photos about Geology or Rock Units.